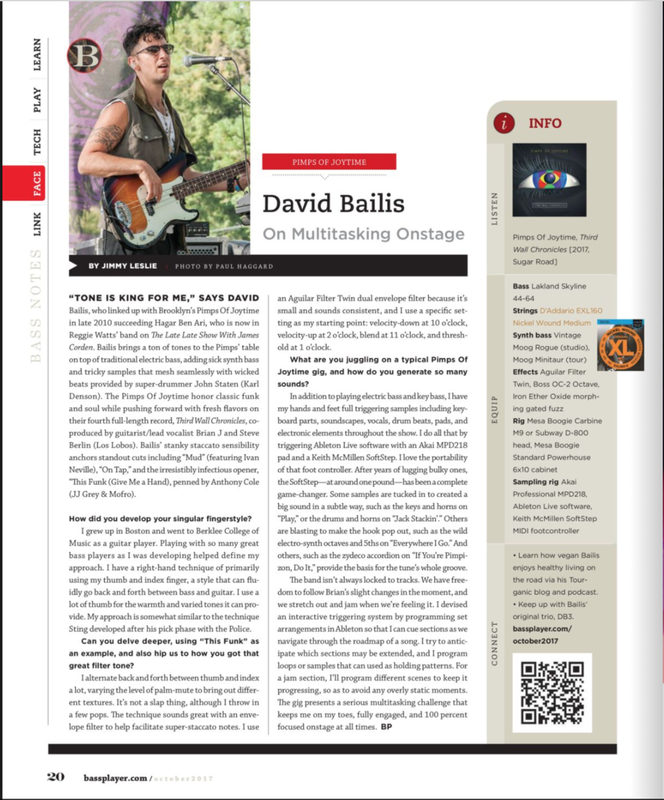 I'm psyched to report that I had a great feature in the October issue of Bass Player Magazine- The pre-eminent publication for bass players and all things related to great instrument of the bass. Awesome to be in featured alongside Bass Greats Doug Wimbish (Living Colour), Hutch Hutchinson (Bonnie Raitt) and Troy Sanders (Mastodon). The article gets into the nitty gritty of some aspects of my technique and the multitasking process of bass playing with my whole sampling rig on tour with the Pimps of Joytime.